Everything that matters and nothing that doesn't. Checkout our best selling package. Our newest offering, for competition shooters. Browse all of our Custom Guns, Finished and Ready to Ship. Boresight Solutions Group LLC is a veteran owned 07 FFL and Type 2 SOT. Our Pro Shop & Custom Gunsmithing operation is dedicated to providing experienced and discerning shooters with a proven selection of hard-use fighting equipment and firearm customization services you can stake your life on. You’ll find our no-frills retail & online Pro-Shop stocked with quality, professional-grade equipment and accessories carefully chosen to meet the needs and standards of the most demanding clientele. We might not offer the widest selection of products, but every item we stock has been exhaustively tested by ourselves and our network of professional end-users. This translates to tens of thousands of collective hours of punishing analysis under high-RPM conditions, from tactical training courses, to daily law enforcement duties, to overseas combat. Simply put: if we wouldn’t use it ourselves, you won’t find it on our shelves. We build and customize hard-use firearms that our clients can not only count on under the worst conditions, but which they are also proud to own. From custom duty/carry pistols to combat-grade rifles and shotguns, we combine rugged reliability with refined, mature aesthetics, for a streamlined, high-quality package that performs every bit as good as it looks. Every element of our work is measured against uncompromising standards, because on a fighting gun, there are no “unimportant” details. To us, there is no greater honor or responsibility than being entrusted with tools that good men & women trust with their life. Ben Simonson of Boresight Solutions performed his skillful modifications on my duty Glock 21 SF, which I have now carried for a number of years. On Oct. 29 2013, while on duty near the Miami Airport, I was attacked by a knife wielding assailant. During the struggle I received 12 stab wounds. The subject also tried to take my Glock, even biting the thumb on my right hand in his determination to get it. My hand was injured and covered in blood, but I was still able to grip and index the gun perfectly, thanks to the outstanding ergonomics and traction of the work Ben did, which I feel helped me win the confrontation. I owe Ben a debt of gratitude. Thank you Sir!! In the span of a 30-year law enforcement career, as well as over 45 years as a firearms enthusiast, and now owning a firearms accessories business, I've had the opportunity to see, test, and own a wide variety of custom pistols. 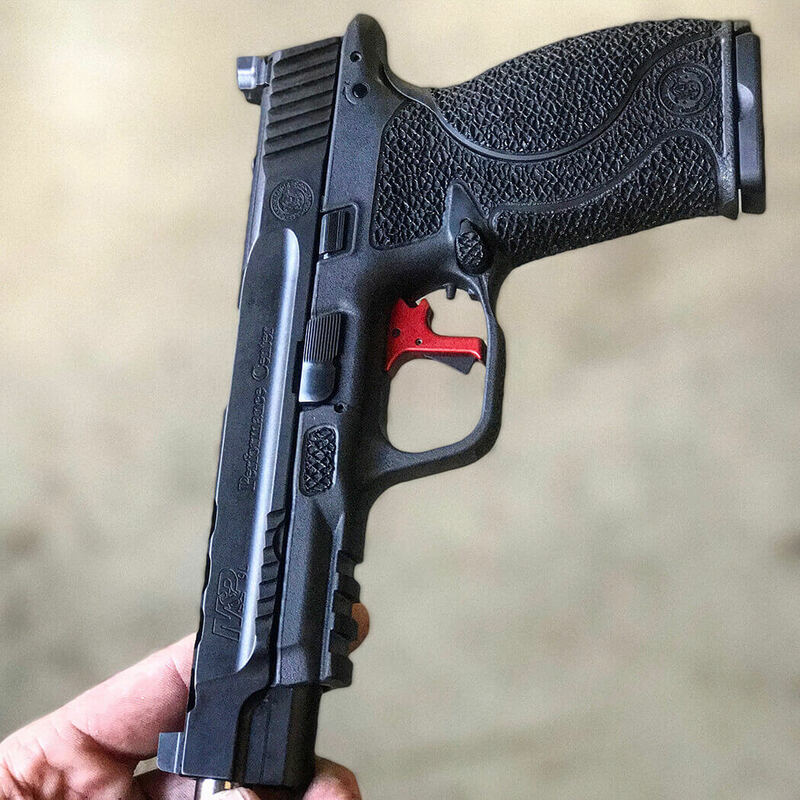 While there are other craftsmen in the industry who do very good polymer-frame pistol work, Ben Simonson of Boresight Solutions is without question the very best. His attention to detail, craftsmanship, subject matter knowledge, innovation, and integrity are unparalleled. Further, Ben is responsible for literally defining the industry, as evidenced by how much of his influence is obvious in other shops' work, and how so many of the modifications and processes he personally developed have become ubiquitous in the industry worldwide. Simply put, Ben's work sets the standard by which all other custom polymer pistols are judged; Ben doesn't just raise the industry bar, he IS the bar. Ben's work, which is every bit as rugged as it is refined -- is not only extremely functional in terms of reliability and enhancing usability, performance and value, but it is by far the most aesthetically appealing I've ever seen. His work is so refined, in fact, that I feel (and often hear from others) that it looks like it could have come that way from the factory -- or how we wish the factory actually made them! I own five Boresight Solutions-enhanced pistol, including the GLOCK I carried throughout part of my law enforcement career. I trust my life to Ben's work and carry his custom pistols with pride. I will pass them down to my children and grandchildren so they can do the same. With a tool that someone is going to stake his or her life on, function and reliability is paramount. Function, reliability, and form; however, are not mutually exclusive, and Ben's work proves that you can have it all without compromise. I recommend Ben and his company without reservation. Call me old fashioned, but I believe in liberty, duty, and that a man's handshake is his iron-clad bond. I also feel that honorable concepts like old-school craftsmanship, earning one's reputation via hard work, and letting one's ability and product speak for itself and stand on its own merit are being lost in an industry that seems to be trending more toward making a fast buck and racking up social media followers. Unfortunately, this means that customers who are trying to make informed decisions are being dazzled and misled by empty hype, snake oil tactics, bought & paid for publicity, and worthless endorsements from industry "celebrities" whose integrity is for sale. Thankfully there are still a few real craftsmen and artisans hammering away who eschew hype and refuse to compromise their integrity just to buy the spotlight temporarily and make easy profit. Ben Simonson of Boresight Solutions is one such artisan. The mastery and innovation evident in Ben's work has brought him international acclaim, and his personal integrity has earned him an impeccable industry reputation. Small wonder that his work is in such demand and sought after by the most discerning clientele, even on the secondary market, where his work still commands a premium amongst the cognoscenti. As a Police Officer, Firearms/Tactics Trainer, and dedicated student of the gun, I'm exposed to a wide selection of equipment, including customized firearms of varying quality and reliability. As such, I've come to the conclusion that making a gun look pretty and work ok under tame circumstances isn't particularly hard, and there are many in the industry whose work has gained immense popularity under the most superficial of standards, and have received glowing reviews from "experts' whose only qualification apparently is that they have a YouTube channel or Instagram page..no actual experience required. However, making a good weapon perform better under ALL conditions, and most important function utterly reliably on that day that everything else around you has gone wrong, is a much harder feat. Boresight Solutions builds custom weapons with worst-case scenario reliability in mind, while artfully incorporating unparalleled aesthetic refinement, for an overall package you can trust your life to and carry with pride. I have known Ben for several years now, and have discussed his work philosophy with him at length. I've also had him do work for me personally, on my duty firearms, and have seen firsthand the work he has performed for not only my own department's SWAT team's weapons, but also for other departments and individual officer's duty weapons. Under no circumstances have I witnessed malfunctions caused by his work, or evidence of compromise on his part of any kind. There are plenty of good folks in the industry whose names are synonymous with quality and integrity. A select few, however, like Ben, are driven to maintain their relentless and uncompromising standards for one reason alone: because good people's lives depend on it. I know that for Ben it isn't just his business, it's his religion. And from knowing Ben personally and considering him a friend, I believe that he is literally incapable of compromise when it comes to the work he does. As such, I recommend Ben Simonson & Boresight Solutions wholeheartedly. I\'ve been in law enforcement, specifically the training end of it, for 25 years. I\'ve had the opportunity to examine, shoot, T&E, and train with a lot of different guns. I pay particularly close attention to \"custom guns,\' as I\'m very interested in seeing what sort of upgrades are being done that legitimately improve and refine our fighting tools without compromising reliability. 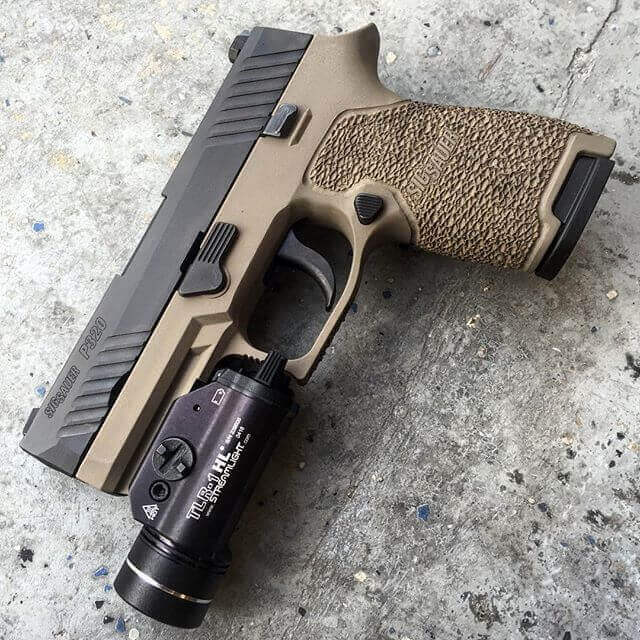 Boresight Solutions hit my RADAR when my friend Pat Rogers of EAG Tactical showed me one of his pistols that had been customized by Ben, and told me how happy he was with it. I subsequently learned that many of my students, as well as my friends within the industry are also clients of Ben\'s. 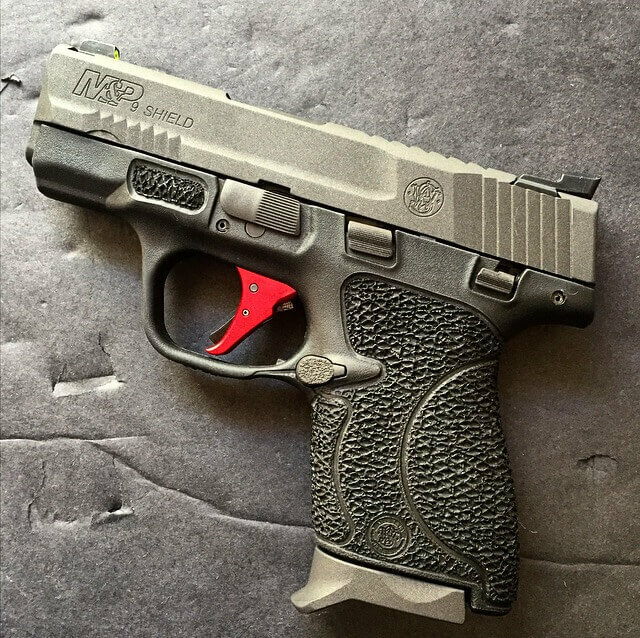 What immediately impressed me with Ben\'s work was how it was obviously far more than just the rudimentary \"stipple job\' that happens to be the most common type of pistol work seen in the industry. Such basic work generally does little more than provide traction…something that could be accomplished simply by applying grip tape..and which invariably ruins the resale value of the gun. What was immediately obvious to me with Ben\'s work was that it was a truly professional-grade comprehensive ergonomic package which not only felt noticeably better in my hand, but also clearly had the potential to enhance my ability to operate the weapon; it was also so refined that it actually looked like it could have come as a factory option. The closer I examined Ben\'s work, the more obvious it was that it embodied a level of skill and attention to detail that was far beyond what I\'d seen in any other shop\'s work. I have since taken ownership of a full-custom Glock 34 from Boresight Solutions. To say I\'m very happy with it is an understatement. The grip package and options delivers an ergonomic profile that makes the gun feel like it belongs in my hand, which results in me being able to run this gun noticeably better than before it was modified. The slide work is precisely rendered and beneficial as well. And the unique texturing profile that Ben developed provides ideal traction under all conditions, wet or dry, without being overly aggressive on the hands or clothing. The fact that Ben has studied his craft to the molecular level is evident in the minute details and overall unparalleled mastery in his work. Literally every detail of the work he did to my pistol and other ones I\'ve seen makes it more shootable, while the aesthetic refinement makes it a pleasure to look at and own. Owner of Talon Defense Inc. 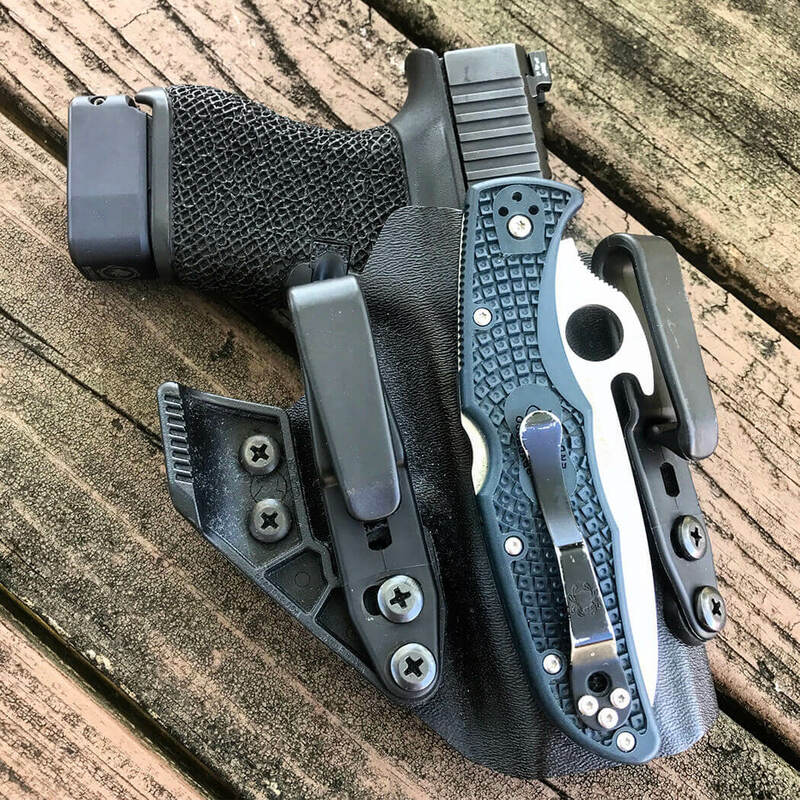 I sent my wife's carry pistol, a Glock 19, to Ben Simonson at Boresight Solutions for one of his grip packages after seeing and being very impressed by numerous examples of his work. When I got the pistol back, both my wife and I were extremely happy with the results. The sheer functionality and attention to detail (an Air Force virtue) were absolutely outstanding. The edge lines were precise and complimented the natural "grain" of the gun, the texturing ideal for positive traction under all conditions, and the ergonomics were "just right. Functionally, the cumulative modification made the gun fit my wife's hand much better and resulted in her being able to manipulate it quicker, more efficiently and shoot more accurately. One particularly useful modification was the magazine release scallop, as it allows her easier access to the mage release without having to completely break her grip, enabling her to get back on target faster after a reload. In my humble opinion, Ben at Boresight Solutions does the absolute best custom grip modifications around, and I am more than happy to recommend him and his work to anyone who won't settle for "good enough". As a former U.S. Marine and now 20-year law enforcement veteran with a large South Florida department, I've come to appreciate and depend on equipment that goes beyond "good enough". I was issued first issued a Glock in the police academy, and have carried one on duty ever since. Although I am a strong advocate of the Glock as a fighting pistol, in my opinion it has some negative attributes, specifically the slippery grip and awkward ergonomics. As someone who stakes his life on what he carries on duty, I'm automatically skeptical whenever I see something new hit the "Tactical" market. Much of what is out there is, in my opinion, garbage and gimmicks, conjured up by people with little or no real-world experience, simply to make a buck off people who don't know better. On the same note it would take a lot for me to turn over my duty gun to someone for any kind of "custom" work. However, after seeing Boresight Solutions work firsthand on a friend's Glock, and seeing volumes of positive feedback from so many highly qualified and uncompromising sources, I decided to give it a go (although I was still somewhat apprehensive). That apprehension was put to rest quickly with a phone call to Ben Simonson, the owner of Boresight Solutions. I found him to be humble and knowledgeable person who understands what is need in the world of practical pistols. He didn't hesitate to spend as much time as needed discussing my project to ensure that I would get exactly what I needed from the custom work. When I received my pistol back (a Glock 23 that I had carried for many years), I could see and feel the improvements immediately. I then literally spent half an hour examining the gun under a light to find some sort of blemish, mishap, or indication that compromises had been made in the work, but I found the detail, functionality, and craftsmanship beyond reproach. In fact, his work is such that when you take it out of the box it looks great, and the closer you examine it the better it gets. After putting several hundred rounds through the Glock to ensure it was still good enough to bet my life on, I was even more impressed with the practicality, improvement and overall quality of his reduction and texturing work. It fit my hand like it was molded for it, and the texturing profile was tenacious without being harsh. I would recommend Boresight Solutions work to anyone, especially those who do more than just punch paper at the static range. From a law enforcement end-user standpoint, who has seen countless hyped-up "tactical" gimmicks and poorly executed modifications, and who is constantly scouring as many resources as I can find to keep up to date on tactical technology and innovation, I feel that Ben's work is literally second to none in the world. Boresight Solutions brought my Glock to a new level of user-friendliness, literally improving on what has long been termed "perfection". Every officer I work with that has handled the gun has been equally impressed, and nearly all of them have sent their own guns to Ben for work. In my opinion, no better recommendation can be made for Ben's work than for it to be chosen by so many people who carry a gun for a living. If you appreciate uncompromising craftsmanship and professional service, and want a product you can trust with your life, Boresight Solutions is the best choice you can make. As a custom 1911 pistolsmith, my eye for detail and quality handwork needs to be critical and discriminating. I was very impressed with Ben\'s work from the first time I saw it, and after seeing more examples that demonstrated the full spectrum of his capabilities, I decided to have him customize several of my M&P\'s and Glocks. Although there are now many shops that try to incorporate elements of Ben\'s unique style into their own work, a Boresight Solutions gun is still easily recognizable due to a level of craftsmanship and refinement that\'s unparalleled in the industry. I\'ve run my Boresight guns hard in conditions of high humidity, pouring rain, or just plain sweaty hands, and the improved profile and aggressive texturing never lets me down...and as a side benefit, his work also happens to look great. It is always said that form must follow function, but is it too much to ask for both? I have never been a proponent of the \"it\'s one or the other\" idea, and Ben\'s work definitely has both function and form going strong. Suffice it to say that I\'m a very picky customer when it comes to gun work, and when it comes to letting someone else work on my polymer pistols, I will only send them to Ben Simonson at Boresight Solutions. I have been a professional instructor and competitive shooter for many years, both in South Africa and now in the USA. I have always favored the Glock 17 or the Glock 22 as my primary pistols, and in the past used skateboard tape to enhance the grip. I'm generally not a fan of doing significant modifications on my guns, especially not to something as inherently reliable as the Glock. However, I was also cognizant of the ergonomic shortcomings of the Glock profile, and also the downsides of using skateboard tape. After having the opportunity to see and shoot several Glocks modified by Ben Simonson at Boresight Solutions, I finally overrode my resistance to modifications and decided to have Ben customize a GLOCK for me. After receiving that pistol back from Ben, I was so impressed with the quality and detail of his craftsmanship, that I immediately sent him another one to modify. Ben himself is an accomplished shooter and dedicated student, and his experience and dedication in that regard is evident in the meticulous, functional rendering of his work. I've found that he listens to what the end user/operator wants, and rather than take a "one-size fits all" approach, he does his best to tailor each gun to the client. That sort of attentive service goes a long way with me. I can say without reservation that Ben's work helped improve my speed, accuracy, and user interface with my pistols and has in no way compromised their reliability. I have since won many matches and trophies for USPSA shooting using my Boresight Solutions custom Glocks. I wholeheartedly endorse the professional service and high-quality modifications offered by Ben Simonson of Boresight Solutions, and I'm proud to say that through working and training with him, Ben has since become a very good friend of mine. I have been an avid shooter for decades, and have owned many Glock handguns since they were first introduced here in the US. As host and coordinator of tactical training courses at my facility in Lakeland, FL, I've seen how popular the Glock line is amongst students who attend these courses. I'm also privy to their complaints about the platform's shortcomings. While Glocks are certainly a fine combat handgun, it is my opinion that they are not "perfect". The primary complaint about the gun is the grip ergonomics. Many shooters, myself included, find the grip bulky and awkward, and the plastic becomes very slippery in wet hands. 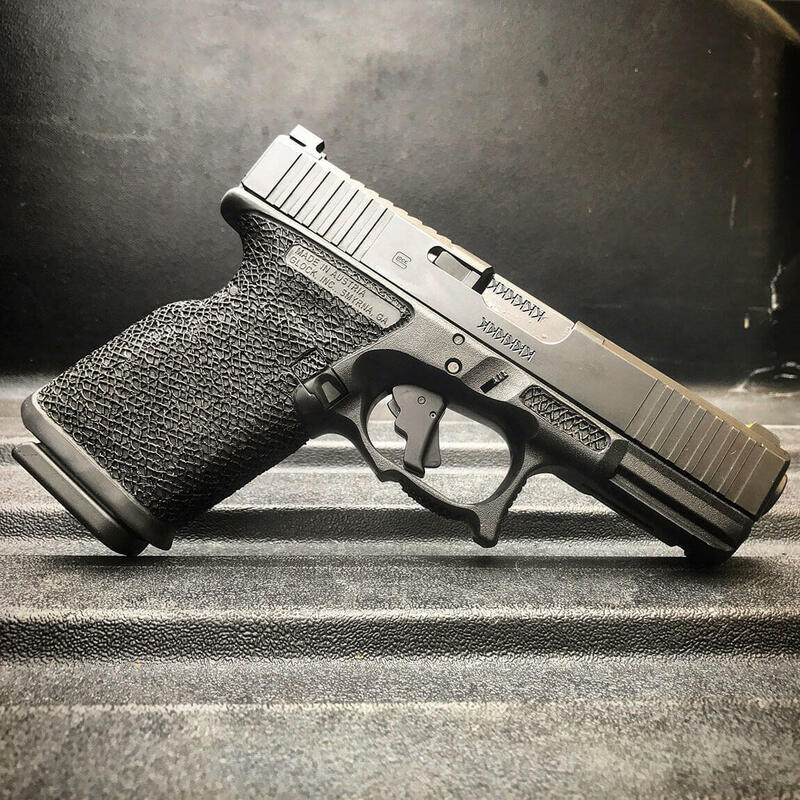 Because I personally did't' like the grip ergonomics, and because I frequently lend my Glocks to students at my facility, over the years I have had "grip reduction" performed on several of my Glocks by a variety of shops. The grip jobs I received were functional, but left a lot be desired in both looks and ergonomics. 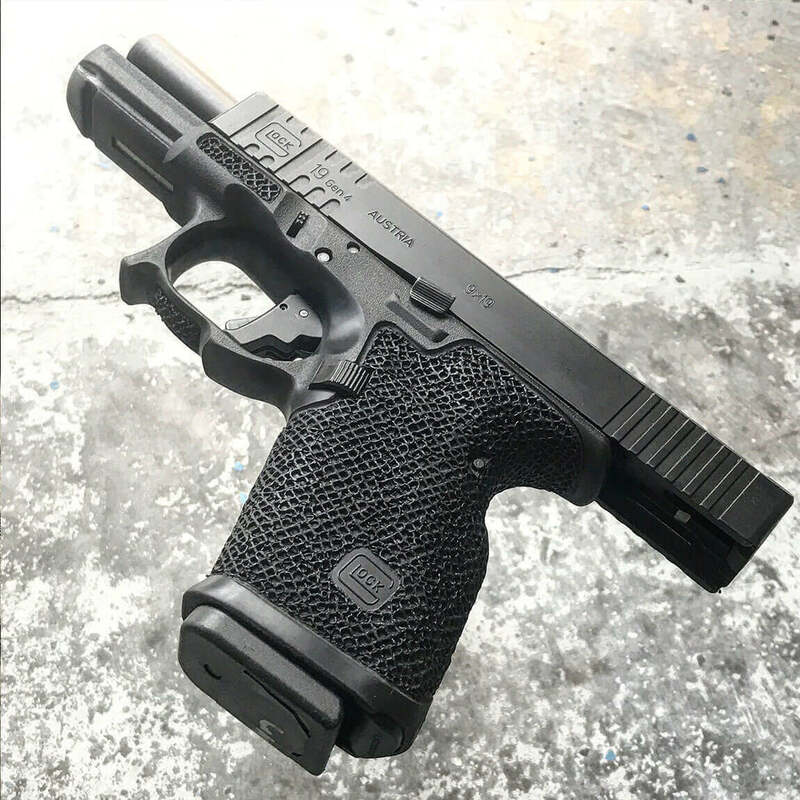 Consequently, I've always been on the lookout for someone who did it better… someone who could not just remedy the ergonomic problems of the factory Glock grip profile, but who could render it in a clean and professional looking manner. 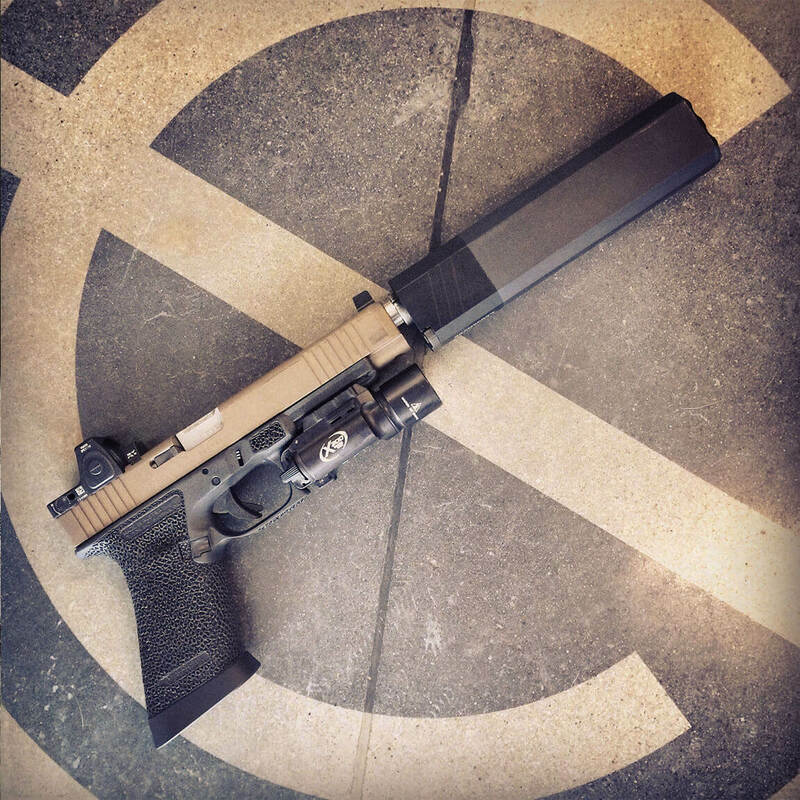 The first time I saw a custom GLOCK from Boresight Solutions, I knew that I'd found exactly what I'd been searching for. To say that Ben's work is superb is an understatement. He combines excellent ergonomics, optimum texturing, and unmatched attention to detail in a package that reflects his overall mastery of the craft. His work isn't cheap, but as with an artist, it's fairly priced considering the sheer amount of labor involved in rendering such a high quality of finished product by hand. Further, his work is always in such demand that if you ever need to sell on of his customs, you should have no problem finding a ready buyer So far I've had Ben modify five of my personal Glocks, and everyone who has tried them has been very impressed with the texture, improvement in ergonomics and the overall quality of the work. One very noticeable benefit I've noticed is how his ergonomic improvements seem to lessen the problem many right-handed Glock shooters have where they tend to drift rounds low and left on the target. Based on how happy I am with my own Boresight guns, and how I've seen many a shooter at my range show immediate improvement when I put one in their hands, I highly recommend Boresight Solutions' work to anyone who shoots a Glock on a regular basis. 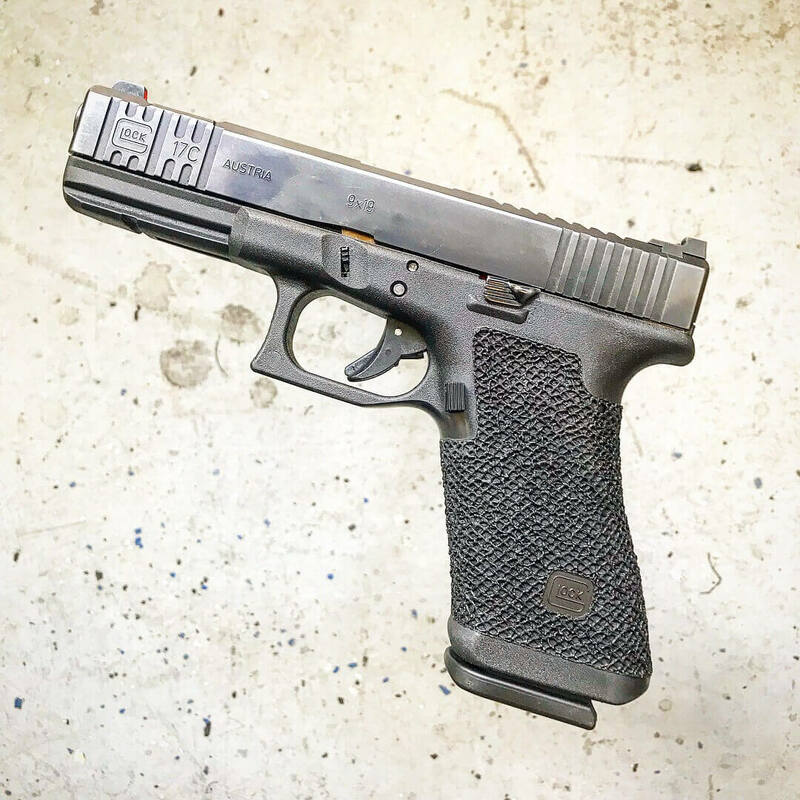 I've seen grip reductions performed on GLOCK pistols by various custom shops for at least 20 years, and I have often recommended them for students with smaller hands. However, I had never been interested in having this type of work done to any of my personal Glocks until I saw a pistol customized by Ben at Boresight Solutions. Literally, when I first laid eyes on Ben's work, it was without a doubt the best I had ever seen. For the first time, I was motivated to have work performed on my own GLOCKs. I liked how the Glock 19 Ben did for me turned out so much that I immediately commissioned the same work on a Glock 21. Eventually, I plan to have every Glock pistol that I own submitted for the same treatment. For those of you who know my instructors and me, you know that we like not liking things. With so much hype and slick salesmanship out there, we tend to be very skeptical of new things, and are extremely slow to change or adopt something new when it comes to equipment. When it comes to modification of firearms, we are even more hesitant. We met Ben Simonson of Boresight Solutions, when he attended on of our courses. Prior to the course we were aware of the custom work done by Boresight Solutions due to magazine articles and numerous online reviews of guns modified by Ben. Even though the modified guns looked pretty cool, we figured they were just that, "cool" and were doubtful they'd live up to the hype and the glowing customer comments we saw all over the internet. During the course my instructors and I had the chance to shoot several of the students guns that had been through Ben's shop, as well as Ben's personal pistol. Well, we aren't ashamed to admit that his work without a doubt lives up to all that hype, and then some. Simply put, his work is amazing. It should be known that we generally prefer Gen I and II Glock 19s, as they don't' have the finger groves. The thing is that these early gen Glocks are becoming harder and harder to come by. Several of the guns we tried that ben had worked on were gen III Glocks, and he'd removed the finger groves in addition to performing one of his grip reduction packages. The way he did it didn't make the front strap weak or prone to flexing, ether, which is a common problem with grip reductions. 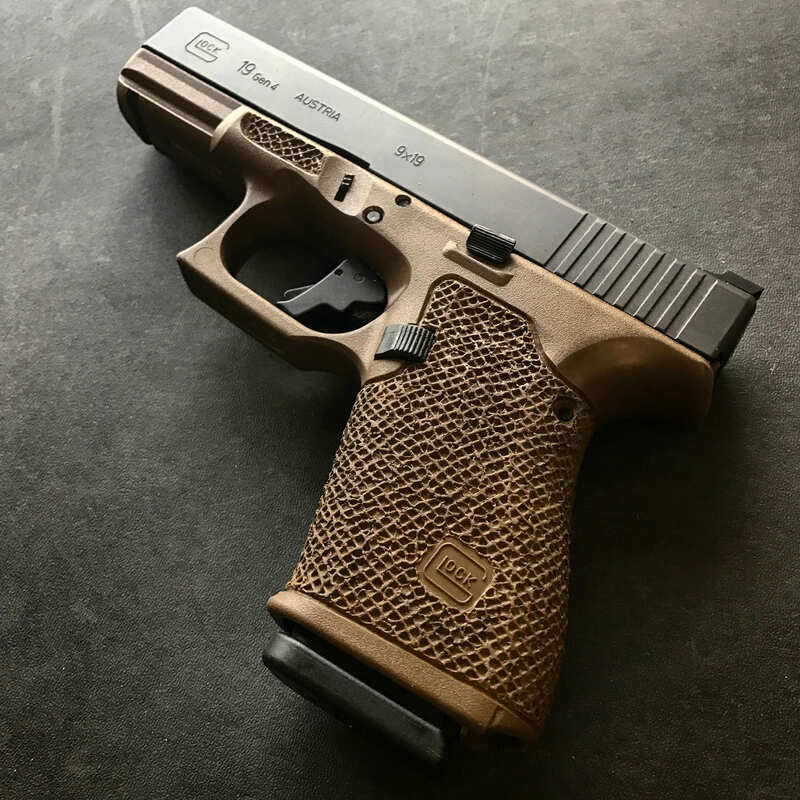 Going beyond the superb functionality he delivers in each package, we must say that his detail work on the edges, and complimenting the natural lines of the glock was impeccable as well. We are pleased to have found an option that allows up to get a Gen III Glock, and have it modified to our preferred specifications. On a related note: As most trained shooters know, the first thing you need to acquire when shooting the pistol is the master grip. During a real scenario this is even more crucial since you may not be able to use your weak hand for support. The finger groves on Gen III Glocks can prevent that initial master grip, and make it difficult to shift your hand if you miss it the first time. The guns that have been modified by Boresight Solutions were so improved that they felt like they melted into your hands and seemed to actually grab us at the same time. They were not slippery, which is a good thing if you are in a wet environment or have blood on your hands. Saying the grip is comfortable and secure does not do it justice. In conclusions: There is much to be said for having someone work on your pistol who understands the extreme conditions under which a primary defensive pistol needs to perform. Ben, who is a military vet, avid shooter, and perpetual student of the gun, definitely understands this. MCS is pleased to support and endorse all work done by Boresight Solutions LLC. As a professional firearms trainer and retired police officer I've been in a position to evaluate a lot of products and services within the firearms industry. I'd like to give an unconditional recommendation for Ben Simonson and Boresight Solutions for their services on polymer handguns. There are many outfits that offer similar services as Ben's, and with 35 weeks spent on the road conducting firearms training all over the United States and abroad I've had an opportunity to see most of what's out there. Ben's work is head and shoulders above his competitors for a number of reasons. First, Ben is an avid student of shooting, and understands how his texturing and grip modifications enhance performance. I know for a fact he logs in several formal classes a year. Second, Ben has a level of attention to detail in what he does that at least in my experience is unsurpassed. As someone who teaches the mechanics of clinch range and entangled shooting, the margin for error is my niche area of study is very small, so the small details in the application of tactics can mean the difference in success or very observable failure. Ben follows his precept in his work. There's not a single thing he does in his "standard" package that does not have a reason for being present, and Is well thought out. The subtle radiusing he does, where the texturing stops and starts, all has a cumulative effect of creating a "Feel" that just works. I can run the gun harder and faster with Ben's enhancements. Finally Ben, while professional, makes no apologies for his long wait times. There's no urgency in his business model to expand beyond doing them by hand, one at a time, and doing them right. I personally appreciate that approach in this day and age and that Ben is not driven by fiduciary concerns but by excellence. Simply put, if you want the best, take the Boresight Solutions plunge, get in line and wait. I promise you, It'll be worth the wait! I met Ben Simonson of Boresight Solutions at a local shooting course, where I noticed several shooters were using pistols with his custom grip modifications. I have always been a fan of strategically placed texture, but most times it\'s over done, too sharp or destroys weapons parts. What I saw on the pistol Ben had modified was different, and the attention to detail was excellent. After purchasing a new full size S&W M&P40, I decided to give his work a try. I specified the placement of the texture, the severity, and it is perfect. This is the weapon I use for most classes so it sees a lot of use, and not only do I love it, most of my students dig the texture as well. I have also shot several of the Glocks that Ben has modified, and they are also phenomenal. He has a way of smoothing the bottom of the trigger guard that is the slickest I have seen. Absolutely no bite left once he is done. Several other VTAC students and instructors have followed our lead and have received nothing but the best service from Boresight Solutions. Boresight Solutions is no BS. Thanks Ben! When I first got into S&W M&P pistols, I liked them so much that I figured that I would just keep them stock. However, that changed after I had the opportunity to see (and shoot) several M&P pistols that had work done on them by Ben Simonson at Boresight Solutions. Soon afterwards, I met Ben himself when he attended on of my carbine operator\'s courses in Lakeland, FL. 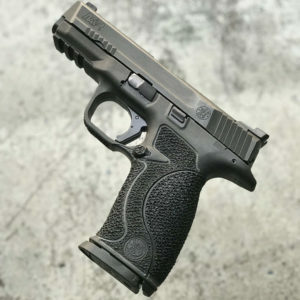 I Spent some time talking with him about his work, and when the course was finished, I wound up leaving one of my M&P .45\'s with him to perform a grip package and trigger tuning. After receiving it back, I spent a year (and 7500 rds) wringing the pistol out, and it made me a believer. The grip work provides improved ergonomics and excellent traction under all conditions, and Ben\'s trigger work delivers a much better overall feel and positive reset. All in all, Ben\'s work made the pistol more useful. I should also point out that before I met Ben and saw his work, I assumed that the whole grip texturing craze was just cosmetic thing. I was wrong. Yes, professionally done grip work looks good, but more importantly, professional grip work and the ergonomic shaping involved makes the pistol feel differently - subjective, yes, but I found it to make the guns much more user friendly in my hands. As a customer and also from having him in my classes, I am impressed with Ben\'s attitude, professionalism, and also with the quality of his work. The only problem that I have with his work is that it makes me relegate all of my unmodified M&P pistols to the back of the safe now. In nearly 15 years as police officer, I've been involved in several violent encounters involving firearms both on and off duty. I believe I've triumphed in those situations because I continuously seek out training from the industry's best and most experienced instructors, and because I carefully select the best equipment for the job. Ben Simonson of Boresight Solutions has been my go-to source for duty and personal firearm builds and customization for nearly 10 years now, and I can say that his work has not only held up to daily hard use, but has also provided me with an advantage in every incident where shots were fired. Boresight Solutions may not be the cheapest custom shop around, but I trust their "Tools to Live By" with my life 100%, and I also recommend them with complete confidence to the officers I train, and to anyone whose job takes them into harm's way. 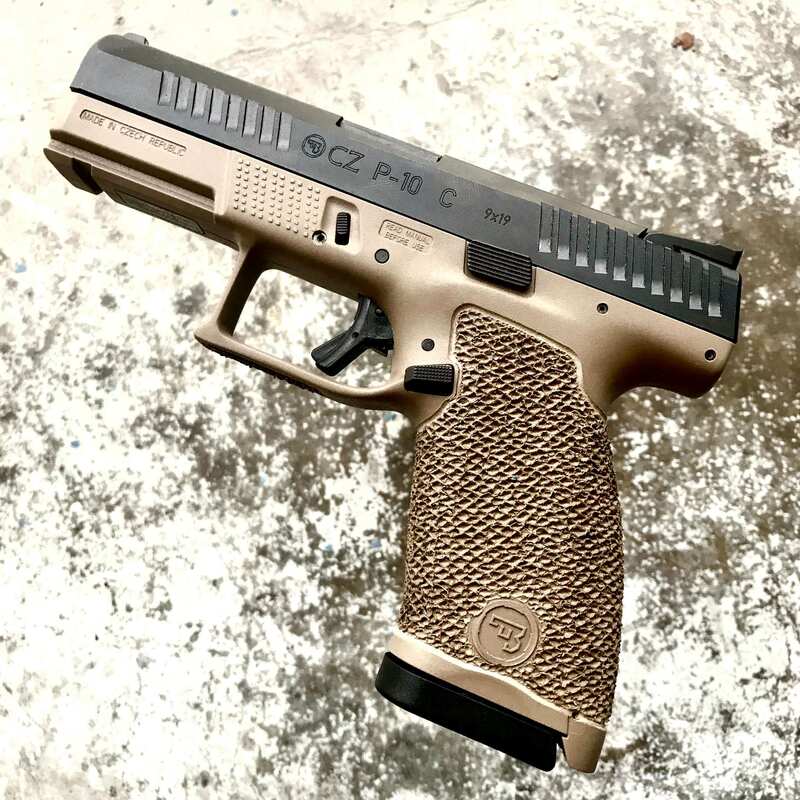 Ben Simonson at Boresight Solutions performs the most comprehensive, well thought-out, and detailed polymer-frame handgun modifications in the industry. I would strongly suggest that anyone interested in seeing immediate and measurable performance gains due to enhanced ergonomics look no further, and just let Ben, the man behind the curtain, take your money. As long as you don't mind black magic and voodoo that is... If you do have an aversion to wizardry, I suggest you do business elsewhere, because aside from sorcery (or some sort of Faustian bargain), I can think of no earthly explanation for the overall excellence of Ben's work. In all seriousness, Boresight Solutions performs truly incredible work, which is why they have become my first and only choice of custom shops for work on all of my plastic pistols. The custom work Ben did to my GLOCK is simply fantastic. I have modest-sized hands, and his comprehensive grip package and options literally transformed how the pistol interfaces with my hand. What separates Ben's work from the myriad of others in the market is his originality, attention to detail,and overall sheer craftsmanship. Even though he does all hispolymer work by hand and freehand with only the most basic tools, not to mention without the benefit of stencils or markings, it looks absolutely perfect, as if done by a precision machine. When you hold a Boresight Solutions custom pistol in your hand, you'll have no doubt that every detail was done by an artisan who takes pride in their workmanship. But the impressive level of refinement found in Ben's work is really just icing on an otherwise perfect cake. And by that I mean hard-use reliability you can count on, and the range of extremely well-conceivedpackages and options that allow his clients to achieve just the right fit for their needs, like I was able to do. There's nothing cookie cutter or one size fits all. And to ensure that nothing is lost in translation, when you commission a custom pistol from Boresight Solutions, all project discussion is done directly with Ben himself. All in all, I couldn't be more pleased with Ben's work, and I will be sending in more GLOCKs shortly. I'm fortunate to be assigned to a full-time SWAT team for a major State agency. Although we cannot, by policy, modify our duty weapons, we do have the opportunity to carry off-duty, as a secondary or covert, any approved weapon system that we choose. For reliability reasons, I searched the universe for an EARLY production Glock 19 Gen 3, and purchased a slightly used one from 2007 in the original OD frame variant. This weapon is carried everyday in an off-duty capacity, as well as to and from work and is approved as a secondary/covert weapon while on-duty as well. It needed some improvements, and I reached out to Ben at Boresight Solutions Group. Ben and I have been in contact since, I believe, around 2012 and he has completed work for me before. Ben is an outstanding human being who stands behind his work, and is humbled to be trusted to work on guns that go into harms way. It is my opinion that Ben started this whole polymer gun modification movement and remains the ABSOLUTE best in the business. He always makes himself available for personal conversation that lends itself to best figure out what each individual customer is looking for. Again, above and beyond compared to the rest of the industry. After much communication with Ben, I opted for the Duty Series package on my G19, and sent the frame to Ben and his people. It was at his shop for approximately five weeks, which ended up being a shorter turn around than I was originally quoted. The work is top-notch, functional, and without a doubt built for a fighting pistol. I simply could not be more pleased with the results. My G19 has gone from a factory pistol, to a work gun that has modifications specifically applied for what I need out of a weapon system. Each cut, polish, reduction, and stipple are completed with precision and attention to detail that is UNMATCHED by any other competitor. When I first opened the box and held the finished frame, I said to myself "this gun was made for me". It fit my hand better than I could have possibly imagined. The frame is purpose built with no frills, just the fight in mind. I want to thank Ben, and his other employees sincerely for the work they completed on my weapon. I am so grateful for the time, thought, and effort that went into these modifications. I could not ask for a better product, period. Thanks again to everyone at Boresight Solutions Group, I am forever indebted to you all. I appreciate what you've done for me more than I can say.